Described as an energy-filled video slot on NetEnt’s official You Tube channel, I think NetEnt found the Sparks™ slot a perfect description. The symbols might show a simple design, but the neon colours used are brighter than ever and a true treat for the eye. A serene background brings an enjoyable atmosphere to the game which fits the symbols perfectly and all together it makes me think of other NetEnt slots like Evolution™ and Elements: The awakenings™ of which I have been a fan ever since they were launched. All three of them show an amazing design with flashy graphics and innovative slot features, but the biggest difference can be found in the development technology. Both Evolution™ and Elements™ have been developed in Flash while Sparks™ has been developed entirely in HTML5 bringing extremely bright neon colours into the game. The explosion of colours and innovative slot features do bring another captivating and thrilling video slot to the NetEnt Casinos which guarantees players an exciting and electric time on the reels. 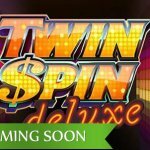 It was the Twin Spin™ slot that brought cloned reels into the NetEnt Casinos with each and every spin starting with at least two adjacent twin reels. Also Sparks™ is bringing a unique feature that looks a lot like the Twin Spin™ feature and has a lot of cloning involved. 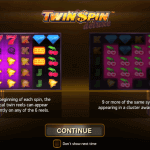 In the Twin Spin™ slot, two reels are automatically cloned while Sparks™ will bring the Expanding Cloning Wild feature. An opening screen will give you the opportunity to choose between two modes as Sparks™ includes the Win One Way mode and the Win Both Ways mode. Choose to play Sparks™ in the Win one Way mode, offering a blue Sparks™ logo, and winning combinations can be made from left to right only. If you prefer winning combinations to be made from left to right and right to left you obviously go for the Win Both Ways mode. No matter what mode you choose to play the game with, both modes will feature Wild substitutions and the unique Expanding Cloning Wild. With a minimum bet of 0.20 and a maximum bet of 400, I am sure Sparks™ will attract a large group of players, especially high rollers. 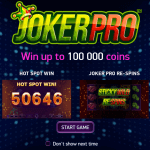 There might be a chance though that the maximum bet will be lower at some of the NetEnt Casinos, but even a lower bet will make this online slot worth playing. And if a minimum bet of 0.20 is too low, but a maximum bet of 400 way too high, simply use the different levels and coin values to get to a more comfortable bet. A total of 10 bet levels is available while you have a choice out of eight coin values if indeed a maximum bet of 400 is available. The higher you set the level, the more winning combinations will appear while a higher coin value pays out better. If not sure what bet to play with, try the game for free to find out what bet will work best for you. 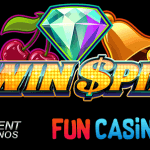 Besides the opportunity to play Sparks™ in either the Win One Way mode or the Win Both Ways mode, you will also enjoy some rather innovative slot features too. The Sparks™ slot is offering some very attractive slot features including a unique Expanding Cloning Wild. Also part of this energy-filled video slot, the two Wild features are perfect in combination with the Win Both Way mode, the reason why I personally would choose to play the Sparks™ slot in this particular mode. Wild substitutions can appear anywhere on the reels in the Sparks™ slot and as always a Wild can substitute for all symbols, except for the Expanding Cloning Wild. A Wild is always responsible for some extra fire in a NetEnt slot, but this time the Wild will literally make sure there will be fire and it seems this regular Wild in the Spark™ slot loves to make an appearance anywhere on the reels. The Expanding Cloning Wild symbols, on the other hand, can appear anywhere on reels 2 and 4 only where it also substitute for all symbols. When this Wild feature gets activated, the Expanding Cloning Wild clones the adjacent symbol (or symbols) from the reel on its left onto the reel to its right, no matter what mode you play the Spark™ slot with. This specific Wild will either stay the same, expand up or expand down, or expand in both directions and therefore, has a lot in common with the Twin Spin™ feature. When an Expanding Cloning Wild appears on reel 2 and reel 4 in just one spin, there will be a lot of cloning going on with probably a big win as the result. As a pioneer in the iGaming industry, you can expect high-quality online casino games, but with the mobile gaming industry becoming more and more popular, as much quality can be expected from the mobile games. The moment Spark™ was released in July 2015 NetEnt already developed over 30 mobile games with Gonzo’s Quest Touch® being the first back in 2011. 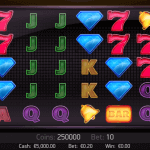 It was back then only the popular slots were launched as a Touch® game, but along the way every single game became available as a mobile casino game straight away. 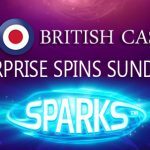 The same goes for Sparks Touch® which was launched on the exact same day as the Spark™ slot bringing the exact same energy-filled slot game to the NetEnt powered mobile casinos without anything lost regarding quality, speed, design and slot features.